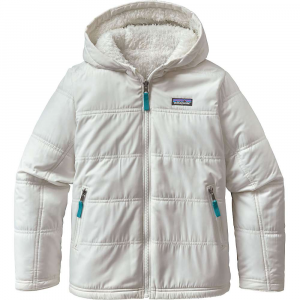 Patagonia's Girls' Nano Puff Jacket provides the needed warmth and desired style for the adventurer who isn't easily deterred by cold. 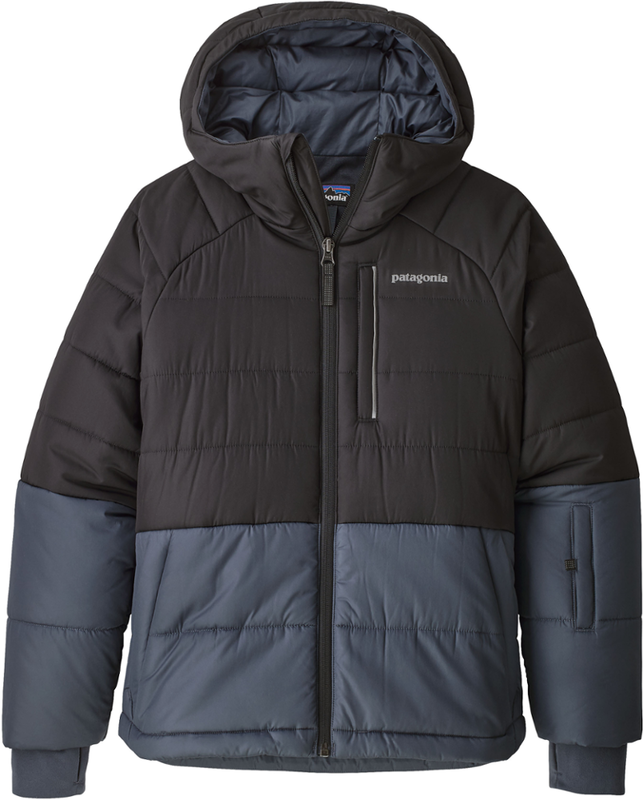 Using partially recycled PrimaLoft One insulation, the Nano Puff provides thermal efficiency to help weather incoming cold fronts on walks around the block or family camping trips. Chasing wind swell after a big storm means, well, wind. 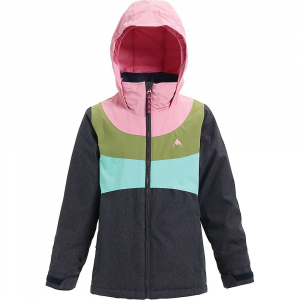 This warm girls jacket has a wind- and water-resistant 30-denier polyester mini-ripstop shell treated with a DWR (durable water repellent) finish, plus a wind-blocking polyester plain-weave lining. 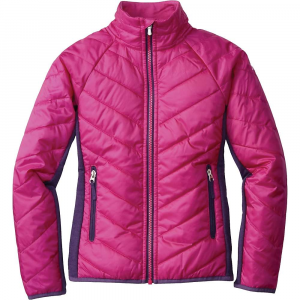 The full-zip front has an internal wind flap and spandex at the cuff. 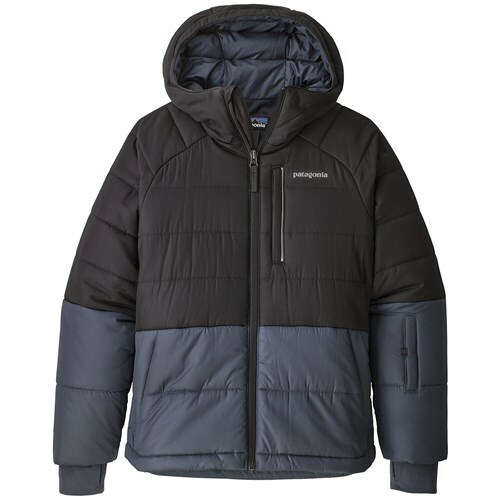 Insulated with lightweight and compressible 60-g PrimaLoft Gold Insulation Eco 100% polyester (55% recycled), the Nano Puff Jacket serves as outerwear in cool conditions or as a midlayer when temperatures drop. 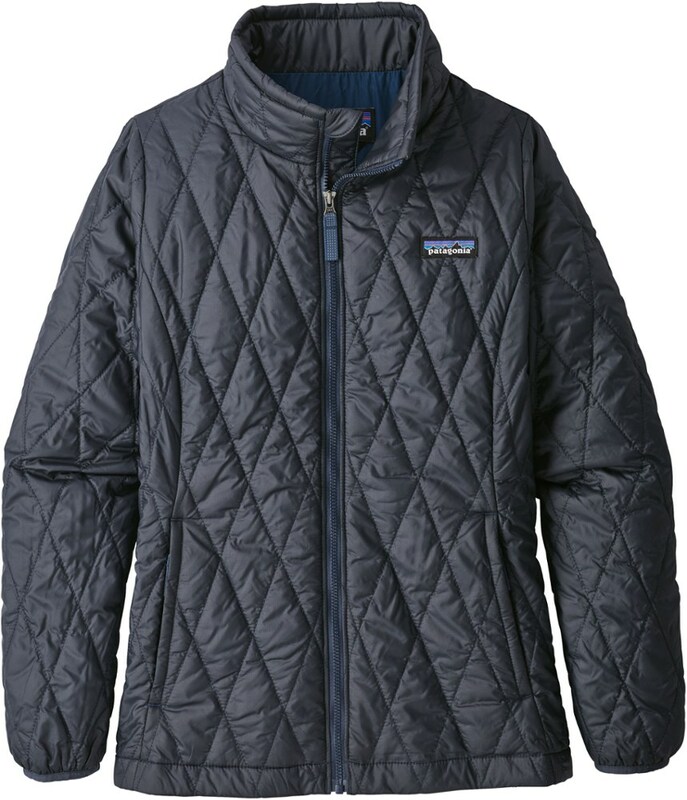 The zippered handwarmer pockets have reflective webbing pulls, and a hand-me-down ID label keeps track of the owner. 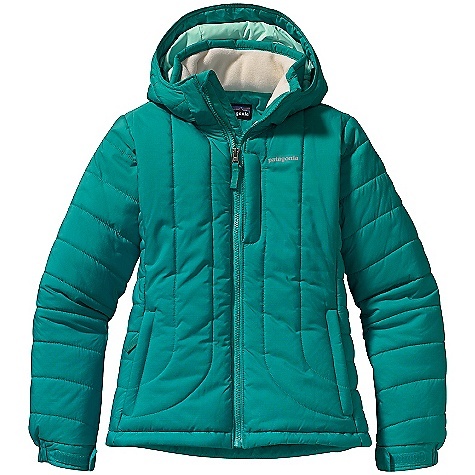 Worn solo or as a mid layer in cold climates, the Patagonia Nano Puff girls' insulated jacket delivers warmth, resists wind and water, and compresses easily to stuff into an internal zip chest pocket.